Sleepy cherub bust in a distressed stone effect. Perfect for indoor and outdoor use, ideal for an adorable garden ornament and a unique look to your home decor. Peaceful looking cherub figurine in a distressed, aged grey with gold highlighted edging. The cherub comes with beautifully detailed features on the face and wings. A charming addition to any home and a great gift idea. 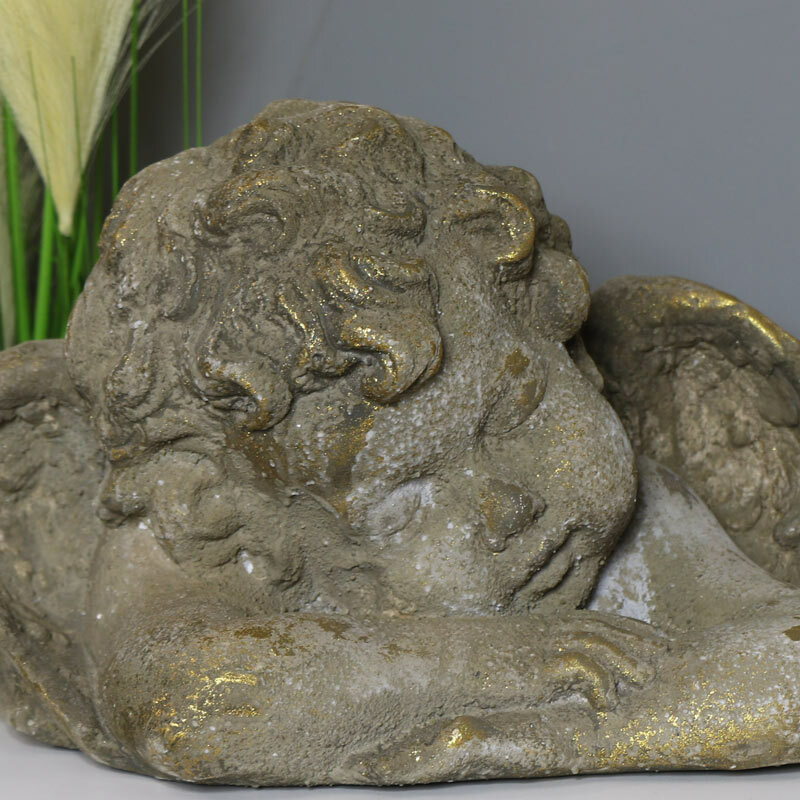 Sleepy cherub bust in a distressed stone effect. Perfect for indoor and outdoor use, ideal for an adorable garden ornament and a unique look to your home decor. 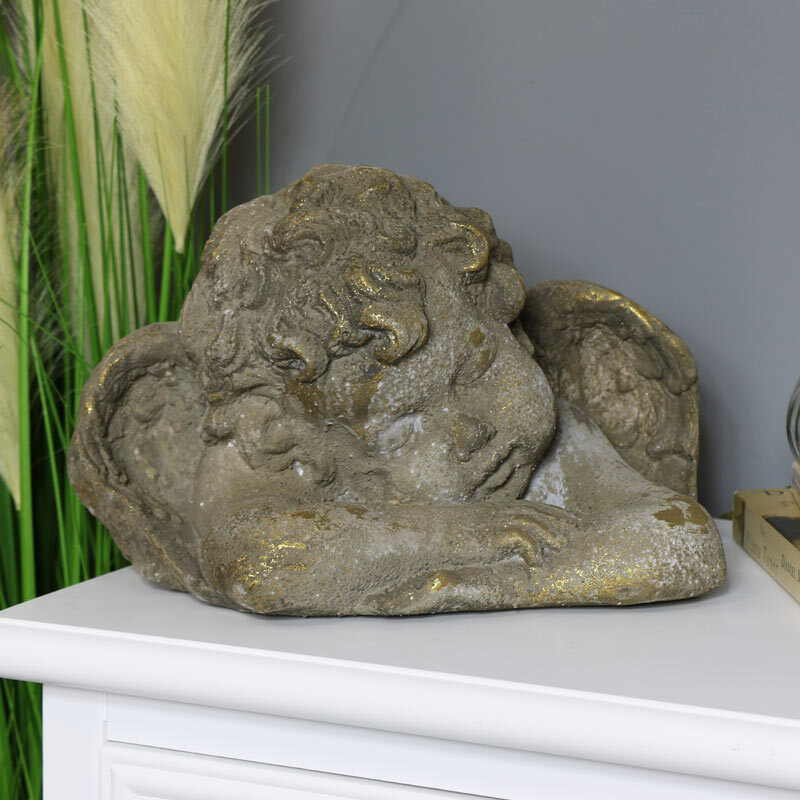 Peaceful looking cherub figurine in a distressed, aged grey with gold highlighted edging. The cherub comes with beautifully detailed features on the face and wings. A charming addition to any home and a great gift idea. Made from resin and finished in a rustic, distressed grey with gold edging.